This cute Google tool with keep a child (or your inner child) busy for hours. 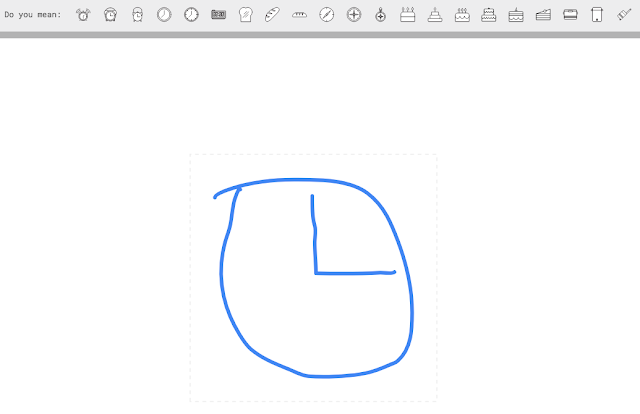 As you begin to draw, by holding a left-click and dragging around the canvas, Autodraw begins suggesting similar objects across the top. Click on one of those and your crude attempt is replaced with your selection.